Gus Hansen Wins $1m Online in 24 Hours! A few years ago it was rare to see Gus Hansen playing online at all, even rarer to see him winning. 2007 has marked several changes for the Great Dane in what has been an impressive year so far. There was of course his impressive Aussie Millions win which saw him catapult back into the tournament scene and who could forget him holding the chip lead for so long in the WSOP main event this year and record only his 2nd cash in WSOP competition? But 2007 has also marked Mr Hansen develop into a force to be reckoned with on the online tables. 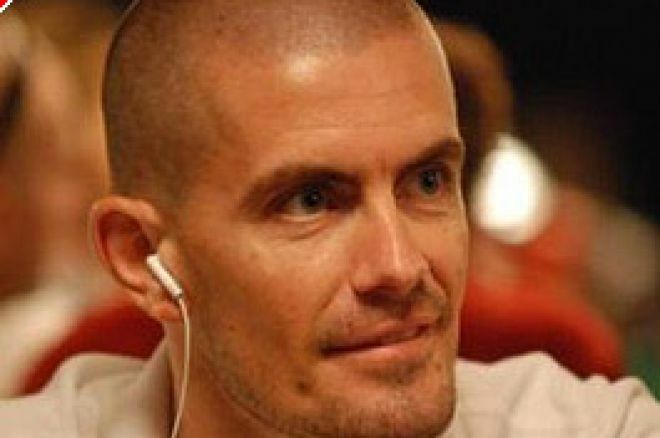 Since his appointment to the Full Tilt Poker stable of sponsored professionals Gus Hansen has been a regular at the PLO tables and has gone on one of the best runs ever seen by the loyal army of railbirds. Just before the start of the WSOP Gus Hansen won over $1 million playing PLO on Full Tilt, which he reported on his blog was his best month ever playing online poker (not bad by most players' standards) and Gus was making lots of appearances on the railbird website www.highstakesdb.com. Now Gus has surpassed this amazing run in just one single day as he has won over $1 million in under 24 hours at the Full Tilt PLO tables. The guys on the high stakes database are saying this is possibly the most won by any player in a 24 hour period, the biggest pot being a measly $101k against KaiBuxxe where Gus hit runner-runner jacks to make quads against a flopped flush. Hansen is in Australia right now promoting the Australian Poker League and in-between commentating on the World Series of Backgammon. At the time of writing he is reportedly giving back a huge portion of his winnings at the cash tables as you would expect the craziest player in poker to do – if you fancy a bit of railbirding then this is the time to do it! Ed note: Fancy a dig at Gus Hansen's stack? Full Tilt Poker is the place to be.